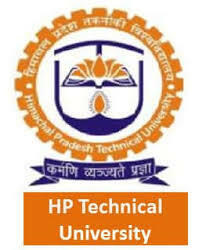 HPCET 2019 Syllabus is set by Himachal Pradesh Technical University (HPTU). HPCET is conducted for admission in different UG and PG courses in Himachel Pradesh.HPCET 2019 has different Syllabus for UG and PG courses. Topics: For B. Tech the HPCET 2019 will follow the 10+2 syllabus of CBSE or State board. And for M. Tech HPCET 2019 Syllabus is General Aptitude and Engineering Mathematics. Alert: The candidates are suggested to follow the mentioned syllabus for better preparation for the upcoming entrance test. Subjects: The question paper will mainly cover the subjects Physics, Chemistry, and Maths. What are the Chemistry topics from which questions will be asked in HPCET exam? Hi Kamal, syllabus in chemistry include topics such as Atomic Structure, Chemical Bonding and Molecular Structure, Chemical Thermodynamics and some others about which you can get information in the Syllabus section of HPCET exam. What is the physics syllabus which will be there of HPCET exam? Hi Pranay, syllabus for physics from which questions will be asked is HPCET are consisting of Work, Energy, and Power, Motion of System of Particles and Rigid Body, Gravitation and many more. For details about the subjects and the topics, you can always refer to the Syllabus of HPCET exam.